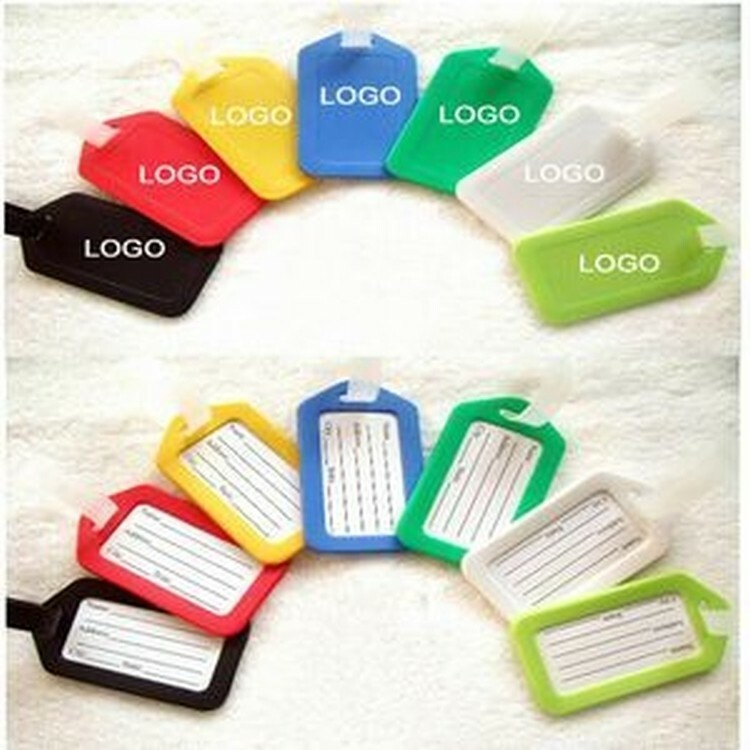 Bright, colorful luggage tags with travel related phrases help you to easily identify your suitcases at baggage claim. Cool luggage tags in 5 designs feature a clear window for an ID card and sturdy rubberized strap for easy attachment to luggage, backpacks, bags, etc. 3 1/2 " X 2 1/8 "